There are few things worse on this planet than WiFi on an airplane. Forget the fact that the connection allows up to all of 4 people before it slows to a worthless crawl, companies like GoGo charge you insane amounts for usage if you don’t pre-pay for access. We’re talking about $40 to fly from one coast to the other for a connection that couldn’t even handle a refresh of Google+. 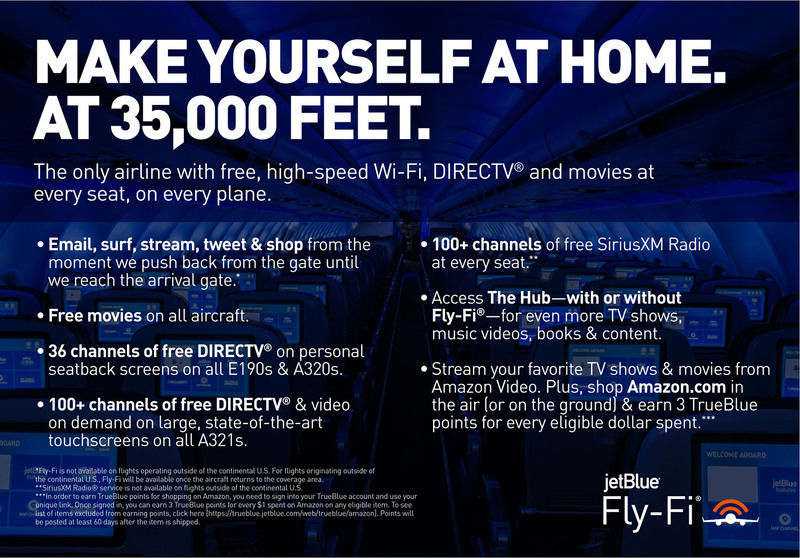 JetBlue, in an announcement this afternoon, will take some of the airline WiFi pain away by giving it to all of us for free on all of their flights. Actually, yeah, that’s pretty great. Now I can watch Facebook not refresh for 10 minutes without cost! In all seriousness, JetBlue’s Fly-Fi is now available on all flights for free, “from the moment we push back from the gate until we reach the arrival gate.” That’s pretty great news for those who fly JetBlue on the regular (or ever), especially since JetBlue brags about their WiFi being “speedy” when compared to other solutions (*cough*GOGO*cough*). The other bonus there is that you don’t have to wait until you reach 10,000 feet before you connect, like you have to on other airlines. Go book yourself a JetBlue ticket, haters of GoGo.